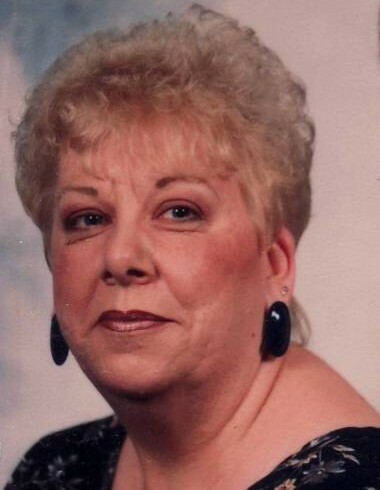 Jackie Lou Rowlison, age 72, of Stroh, Indiana, died Monday, April 8, 2019 at Parkview Hospital in Fort Wayne. Mrs. Rowlison was born in Oneida, Kentucky on May 30, 1946 to the late Jack and Lucille (Simmons) Mullins. She married Gerald Lavon “Skip” Rowlison on November 28, 1970 at Pleasant Lake, Indiana. Jackie attended beauty school and owned The Hair & Tanning Salon in Stroh. She also worked as a certified nursing assistant. She was a loving wife, mother, grandma and homemaker. She loved spending time with her grandchildren and watching them play ball. She enjoyed making figurines with her husband and cooking. She was a past member of the Stroh Volunteer Fire Department and LaGrange Eagles. Husband, Skip Rowlison of Stroh. Son, Scott and Karla Rowlison of Angola. Daughter, Lisa and Corey Combs of Stroh. Five grandchildren: Tyler and Chelsea Combs of Waterloo; Taylor and Shawn Keister of Kendallville; Hope Rowlison of LaGrange; Sophia Rowlison and Nathan Rowlison both of Angola. Two great grandchildren: Liam and Travis. Brother, David and Trudy Mullins of Wolcottville. Brother, Danny and Faye Mullins of Brushy Prairie, near LaGrange. She was preceded in death by her parents and a sister, Mary Mullins. Graveside services will be held Thursday, April 11, 2019 at 3:00 PM at Wright Cemetery near Stroh with Pastor Rick Stiver officiating the service. No visitation. Memorial donations may be made to ARC of LaGrange County.